2,500 sq. ft and 4,000 sq. ft.
For use on all grass types. Apply to a wet or dry lawn. For best results, use a Scotts spreader. Builds a thick, green lawn - naturally. 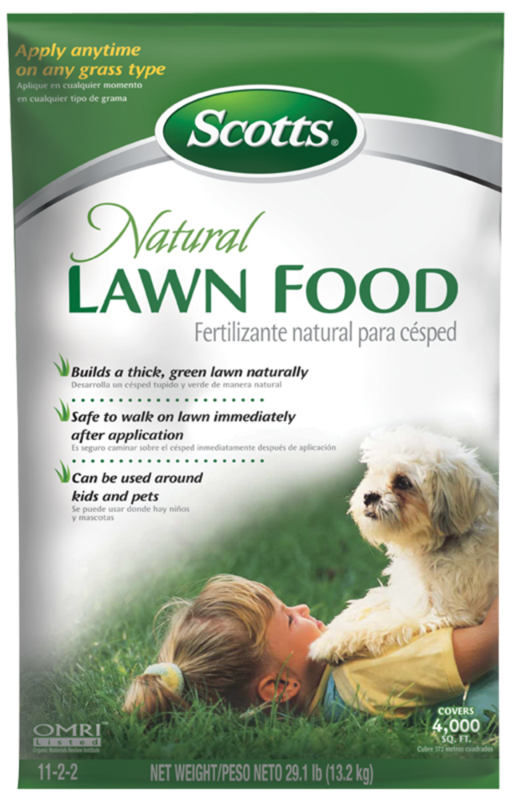 No waiting necessary; lawn is safe to walk on immediately after application. May be used around kids and pets. Dry fertilizer products with pesticides (such as weed or insect controls), should be used within 3 to 5 years, as the control may lose its effectiveness.